There’s been big news coming out of Sweden over the past few weeks involving Koenigsegg. The hypercar company signed a $320 million strategic partnership with National Electric Vehicle Sweden AB (NEVS) that will see the formation of a new joint venture that will result in a production increase, among other things. 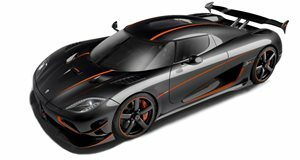 Christian von Koenigsegg's ultimate goal is to rival Ferrari. We’re also only a couple of weeks away from the debut of an all-new Koenigsegg, the successor to the world speed record holding Agera RS, at Geneva. Only a single teaser drawing of its rear end has been released so far, and Koenigsegg has remained tight-lipped on all other details. And if that wasn't enough, a more affordable Koenigsegg supercar is supposedly on its way. Building on the last point, a Twitter user going by the name ‘AutoPap’ posted on February 13 (which has since been deleted) a few interesting details about that vehicle, which could arrive as soon as 2020. A lightweight aluminum and carbon fiber body and wheels hardly come as a surprise, assuming this claim is factual. We already knew Koenigsegg's upcoming new and less expensive supercar will adopt some pretty advanced technologies but we didn't know the engine's displacement. If the above information is correct, we do now. Not only will this be the first vehicle Koenigsegg will build in collaboration with NEVS, but it will also provide the company with another gateway into the world's most lucrative car market: China. Chinese-owned NEVS already has a wide distribution network in the country along with a production plant, though we’d be surprised to see any Koenigsegg built outside of Sweden. An "affordable" new supercar would also be a direct rival to the just announced Ferrari hybrid V8, itself more powerful than the 488 Pista. 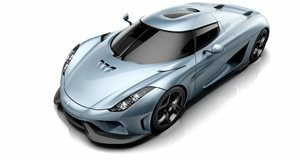 We reached out to Koenigsegg seeking some confirmation and spokesman said he couldn't comment on the matter.